Join DEP in celebrating Earth Month! 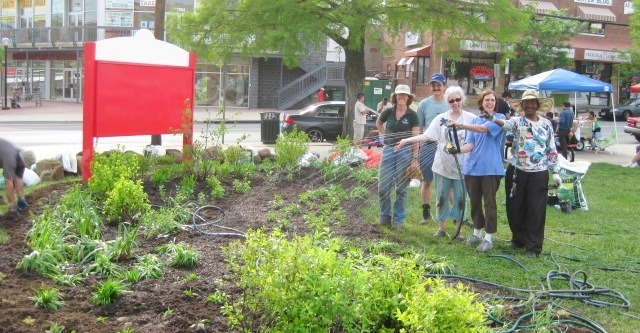 Each year, in honor of Earth Day, April 22, the Montgomery County Department of Environmental Protection (DEP) hosts, and participates in, an array of activities during the month of April. The public is invited to join DEP in celebrating Earth Month and attending one of our events, workshops or presentations. To register for a cleanup, email: Stream.stewards@montgomerycountymd.gov. Five volunteers standing next to all the trash they picked up from a stormwater facility. Community Cleanup: DEP is partnering with the East County Parents Circle on a community cleanup around the trail behind Greencastle Elementary School on Saturday, April 23 from 10 a.m. to 12 noon. Contact Dolores Chavez at 301-806-7886 or dolores@knot6.com to register. Recycling Volunteers: Work alongside DEP staff members to educate residents about waste reduction, reuse, recycling, grasscycling, composting, and buying recycled products. Volunteers are needed to assist with many Earth Month composting demonstrations and recycling events, including those listed below. Visit montgomerycountymd.gov/sws/volunteers to see all Recycling Volunteer opportunities. 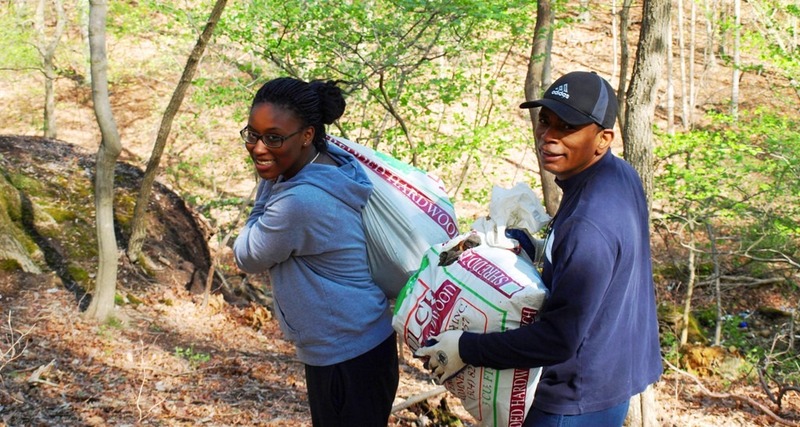 More Earth Month volunteer events can be found at montgomeryserves.org. Backyard Composting Demonstration and Compost Bin Distribution: Learn about yard trim composting on Friday, April 1 from 4 p.m. to 7 p.m. at Meadowside Nature Center in Rockville. Manage yard trim materials at the source, and learn how to compost grass and leaves in your backyard. Residents may pick up a compost bin to take home. Make & Take Rain Barrel Workshop: Help control stormwater and collect water for your flower gardens by installing a rain barrel. 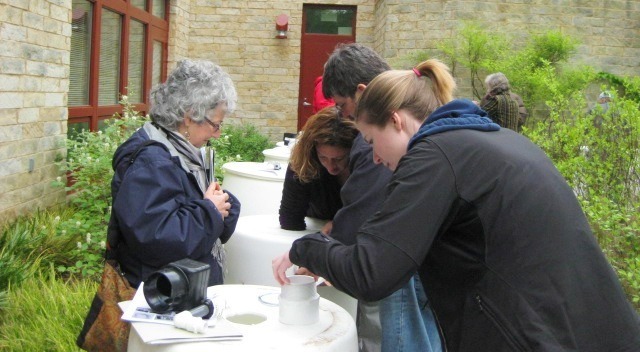 The workshop will teach how to install and maintain rain barrels. Those who complete the training receive a 55-gallon barrel with fittings to take home. 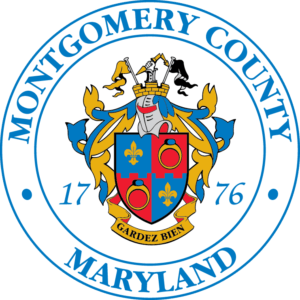 Montgomery County Energy Summit: Join U.S. Green Building Council National Capital Region’s Montgomery County Branch and DEP for a full day of interactive discussions and workshops. Topics include Montgomery County’s launch of the Commercial PACE program, the County’s new Green Bank, energy audits, commissioning, and the International Green Construction Code. The Energy Summit is scheduled April 5, 8:30 a.m. to 3:30 p.m.
Paper Shredding and Recycling Event: Shred and recycle confidential papers, and donate usable clothing and household items on Sunday, April 10, from 10 a.m. to 2 p.m. at Sherwood High School in Sandy Spring. Black Hills Regional Park RainScapes Day: Learn how RainScapes keeps your watershed clean. Following the presentation, attendees will travel by van to tour local RainScapes in the upper part of the County. Bring a bagged lunch. The RainScapes Day is Wednesday, April 13 from 9 a.m.to 2 p.m. Sign up at: Course (13848). Master Gardeners Gardening Expo: Learn more about the RainScapes program as well as managing yard trim at the source through grasscycling and backyard composting by visiting information tables and exhibits at the Master Gardeners Gardening Expo on Saturday, April 30 from 10 a.m. to 2 p.m. at the Silver Spring Civic Building. Earth Day Fairs and Festivals: All April long, DEP staff participate in Earth Day fairs throughout the County sponsored by businesses, home owner associations, congregations, schools, and nonprofit organizations. Participants learn what they can do in their home, business or neighborhood to protect the environment. To view the full DEP calendar, visit: montgomerycountymd.gov/dep. 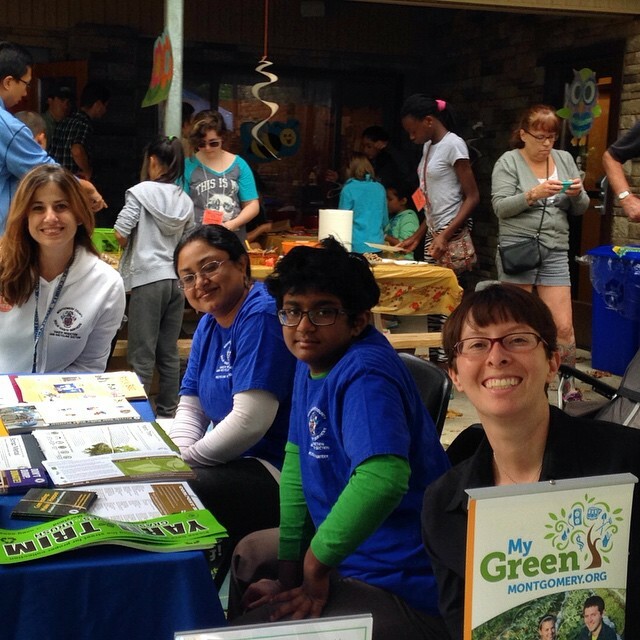 The Montgomery County GreenFest is a great way to culminate Earth Month activities. The festival fills over two blocks with music, films, speakers, exhibitors and workshops all focused on building community and improving our environment. Event highlights include a talk from EPA Administrator Gina McCarthy, a photography nature walk, exhibitors, crafts using repurposed items, and musical entertainment. There will also be a free screening of the film, E.O. Wilson: Of Ants and Men. It is a great way to enjoy a Saturday. GreenFest will be held April 30 from 11 a.m. to 4 p.m. at the Takoma Park Community Center, 7500 Maple Avenue, Takoma Park MD, 20912. View the full schedule at montgomerycountygreenfest.org.